Ramping up Acquisitions for 2018. Make you plan and deconstruct down to your daily task list until your plan meets reality. 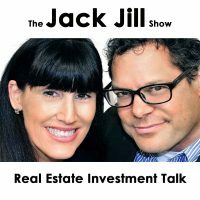 Jack Butala: Today, Jill and I talk about ramping up acquisitions for 2018. Jill, I can’t wait. Based on what we just talked about before the show, I think there’s some pretty good stuff here. Jill DeWit: Yeah. You should never be afraid of deals, finding deals, a number, stuff that’s out there. Jack Butala: I can honestly say there has never been a better time to buy and sell real estate in my career. Jill DeWit: I want to say something right now. We are at the end of 2017. Think about this for a moment. Where were you, listener, and you, Jack, I’m going to have you share, where you were at the end of 2007 and how … ? Jill DeWit: Right? Think about this, 2007 was 10 years ago. I hate to bring that up to a lot of you, Jack included, but that was 10 years ago, 2007 was a bit of a scary time. I personally got so flipping lucky, I cannot tell you. I sold a home for about 80% more than I paid for it in 2007 ’cause it was in Arizona and it was just before it started to tank there. I was right literally under the wire so I remember. Jack Butala: Yeah, we were doing great back then and we were doing great up until, for land, up until about ’10, 2010 and then 2011. Then the land market just dropped off, but the house market, that’s when we were buying in assets for $20,000 and $30,000, houses, and selling them for 60 and 70. Jack Butala: There’s never a bad time. It never really crashes, crashes, but there’s some scary stuff that happened, Jill, right. It’s so much better now is my point. Jack Butala: Oh, my gosh. Jill DeWit: By the way, I wonder what show number we’ll be on. Well, it’s show 6,042. Jack, Jack, are you with us? Jack Butala: I think there’s some British soap operas that are in the 6,000 shows. Jill DeWit: Could you imagine? Dude, are we going to be doing this show 10 years from now? Jack Butala: I hope so. Look at her. Jill DeWit: I haven’t even thought about that. Jill DeWit: We’re over two years in. Jack Butala: I dragged you around my marketing ideas. Jill DeWit: I mean we’re over two years in and I don’t see it going away. Jack Butala: I don’t either. The numbers keep going up. Jill DeWit: Let’s just face it. Everyone goes, “What do you guys have to talk about?” We have plenty to talk about. What’s so funny? Jill DeWit: Do you know what’s so funny? I know we need to get to the show, but you would think that we walk around the house and then save it all up for the show. No, no, no, there’s plenty of banter and plenty of talking at home, too. We have a lot to talk about. Jack Butala: We should record that stuff. Jill DeWit: It’s hilarious. I know. Jack Butala: There’s some funny stuff that happens. Jack Butala: There’s some really sad things that happen, too, sometimes. Jack Butala: We call it Jill’s tragic roast beef, but she doesn’t know that we call it that. Jill DeWit: Why? I don’t make roast beef. Jack Butala: I’m just teasing. Jill DeWit: All right. Anyway. Jack Butala: Before we get into the rest of this, let’s take a question posted by one of our members on the jackjill.com online community. It’s free. Jill DeWit: Jeff asked, “Hi, all. I just … ” This is a lengthy one and I have an answer at the end. This is so good. “Hi, all. I just checked my PO box and voila, a signed purchase agreement appeared from a seller in Lake County, Oregon. First of all, I just have to say, regardless of whether I go through with the purchase or not, having a signed purchase agreement show up in the mail is such an awesome feeling. Never thought I’d see the day. The property is … ” How much information do you want me to share here, Jack? There’s detail. Jack Butala: The property’s in Oregon. Jack Butala: Kevin’s right. I will never say this sentence without prefacing something and here’s the sentence. You should never buy property without access. You should always buy property without access. What the hell does that mean, Jack? Jill DeWit: I’m out. Just kidding. 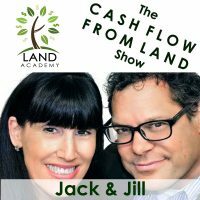 Jack Butala: You need to decide for yourself whether or not property with no apparent physical access is something you want to buy or sell. Regardless of however that … Usually, it’s a function of money for me. I’ll tell you what I would do here. I would take a picture of it, maybe do a little tiny video that’s less than 15 seconds, inside screen video that shows you finding the property on Google Earth or [inaudible 00:06:36] wherever you found it. I would email it to the seller and I would say, “A thousand dollars sounds great, but I didn’t really fully realize that there’s absolutely no access, apparent access to this property. I’m happy to pay 500 bucks. We can close the deal right now.” Then you can’t lose. Jack Butala: All this whole mental thing that you went through, that he wrote through … Thank you, by the way, Jeff. It’s 5 acres. It’s in Oregon. It’s $1,000. I see comps for 2,000, pep-pe-rep. The question you should ask yourself is just before you pull the trigger, at what price because I’m brand new at this, would I now go run to the bank, well, I’m sure, I’m not going to lose any money? Jack Butala: Take all the stuff out of it for yourself, all the stress, sleep really well at night. For me, 500 bucks for this 5-acre property in that area of Oregon is what we standard pay and we sleep great at night. We sell them for 1,500 to 2,500 all day long. I’ve actually been there and you can’t go wrong in my opinion. Jill DeWit: Right. I was just thinking about that county. I agree. That’s a good way to do it. At what number, Jeff, does it feel like a home run and you just want to run to the bank? That’s good. Jack Butala: ‘Cause if you send another mailer out, you are going to get several back. They’d come back in at the number that Jill’s just saying that you are feeling fantastically comfortable about it and you’re going to do the deal. Jack Butala: Access or not. Jack Butala: Yeah, we don’t know. Jill DeWit: There’s more coming. Jill DeWit: It’s awesome. Yay. Good job, Jeff. Jack Butala: Today’s topic, ramping up our acquisitions in 2018. This is the meat of the show. Jill and I got to talking before the show and we said, “what does this mean to you? What does this mean to you, Jack? What does this mean to you, Jill?” This is what we’re ramping up for and Jill had a whole different take on it, which I think is going to be incredibly useful. My take, it’s very simple on this episode. You have to have a calendar. If you do one thing, one change in 2018 that maybe you didn’t do in ’17, and I’m talking to myself as well as everybody is just get a little bit more organized with the calendar and a plan, and start with December of 2018 and work your way backwards. If you want to have a million bucks in the bank on December 31st, divide by 12, and then divide by 4. There’s 52 weeks in the year and do what you need to do to get to the point where you’re going to get enough offers in the mail and people answering your phone the way that you should to get to that point. Jill DeWit: That’s really not crazy. Jack Butala: It’s that simple. Jill DeWit: People look at it like it’s such an awesome number. Jill DeWit: Name brand person. Jack Butala: A person that we all know their name in our group. They said, “Jack and Jill make this sound easier than it really is.” If you listen to the show all the time, yeah, it’s all peaches and cream, which is probably true. We’re probably guilty of that. Jill DeWit: Part of it is ’cause it comes easier to us. Jack Butala: But we are very organized and we have a full staff, trained staff in place. Jack Butala: Which is what Jill’s going to address here in a second. Jill DeWit: It’s not to say that not everybody can do this. Jack Butala: No, we’re not being negative. I’m just saying if we make it sound easy, it’s ’cause it is easy for us, but we’ve also been doing it for 25 years total. Jill DeWit: Right. It wasn’t easy in the beginning, man. Let me tell you. Jack Butala: There’s a bunch of people in this group that are better at every single point of this than we are. Jill DeWit: Than we are. That’s so true. Jack Butala: They just don’t have a podcast. Jill DeWit: That’s a good point. Jack Butala: What are you ramping up for? What are your suggestions, Jill, to ramp up acquisitions for ’18? Jill DeWit: Yeah. You brought up the calendar and that’s great, and you kind of touched on some of these. Hey, if you want to kill it, also make sure you have your team in place. Get the right team. When I say team, I mean everyone in your life, not necessarily your office. Jack Butala: Tell your kid who’s in little league that you are going to go to three games and that’s it. Jack Butala: That’s one of the most painful things about raising a child is going to baseball games. Jill DeWit: There’s a lot of them. Jack Butala: Soccer games, no problem. Jack Butala: Baseball, oh, my God. Jill DeWit: Once a week, we can handle though, but three a week, come on everyone. Jack Butala: Serious spouse talk. Jack Butala: Maybe it’s a quarter of a million bucks so you can quit your job. Jill DeWit: Maybe that’s it, too. Jack Butala: That’s very, very reasonable. Jack Butala: Jill, this is brilliant stuff. Jill DeWit: Thank you very much. “I may need … ” Whatever it is, sit him down. Let him know what you need, what you’re working on and here’s why. I would say, too, even maybe check in once a month with him so they know that it’s not all in vain. You are going in the right direction and I think that would be cool. Get your team in place. Jack Butala: You know what most women would say to that? Jill DeWit: What? What does that mean? Jill DeWit: I don’t know. Why? Jack Butala: On behalf of all men. Jill DeWit: You really think that? Jack Butala: You’re not a normal girl. Jack Butala: I know, sweetheart. That’s why you’re the greatest girl there ever was. I’m telling you. Jill DeWit: I know. I don’t understand. Jack Butala: We’d be all set. Jack Butala: That’s just you. Jill DeWit: Gee. “No, no. I’m more important.” That’s stupid. Jack Butala: This is turning out to be a good episode. Jill DeWit: Oh, my gosh. I don’t understand that. All right, here’s my second part. Jack Butala: I’d totally kiss you right now, but it’d be disgusting for everybody. Jack Butala: Or you’re past us. Jill DeWit: Whatever it is, there’s always things you could do and dump and streamline. I even have my staff right now literally for one of our companies giving me a step-by-step process … It’s a [inaudible 00:14:24] and I’m telling ’em ’cause we keep getting overwhelmed with a number of deals that we can process. I have them giving me a step-by-step-by step process, A to B, how much time it spends. I can go in and tweak it and make it more efficient. This is what everyone should be doing. Jack Butala: To this day, there’s always ways to, for me even, to buy properties if more effectively. 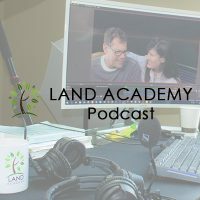 We’re horsing around with a concept called Boots on the Ground, which is probably what how we call Land Academy the Cash Flow from [Land 00:14:57] program. I think that the program’s probably going to be called Boots on the Ground. I’m not sure yet. I’m horsing around with that idea and we’ve got some personal and professional associates in Arizona who are working as our boots on the ground to test the concept, which is what our next show is about, never leave your desk. If you know how to use data, you’re way more effective sitting at a desk and so, you need to utilize boots on the ground all over in any market that you’re in. Somebody that you can trust and that who’s not going to steal properties from you, things like that. Jack Butala: I don’t want to get into that ’cause that’s not what this episode’s about, but test … To this day, we still test new stuff, try new stuff, make things more efficient. Look for the Coca-Cola bottleneck I call it and make it better. Jill DeWit: Yeah. All right, three things you should be working on, wrapping up your research, what projects you have out there hanging over your head, you’re starting to do a little more research on this country ’cause you’re getting ready to dive into that, whatever it is, wrap it up. Call it done. Move on. It’s really easy to spend too much time or … You know what? Here’s the thing. If you’re not getting it done, there’s some other reason why. Maybe it’s not that important or B, you’re not focused like you should be. Either get focused, get it done, or don’t do it at all. Don’t waver and have it hanging over your head. It’s stupid. Jill DeWit: That’s scary, a scary thought. Jill DeWit: You need to make it done. Jack Butala: You need to make it done, Jill. Jill DeWit: And call it. Jack Butala: You need to pick a date and get it in the mail and that’s it. Jill DeWit: Exactly. I used to, I’m better now, but I still catch myself. I’ll have these carryover list of things that I’m working on and that just goes roll over, roll … I’m like, “All right, knock it off. Are you really going to do it or not?” That’s what you need to do. Jack Butala: Right. What’s the old Warren Buffett quote? Jill DeWit: I don’t remember. Jack Butala: Pick the top 10 things you want to accomplish in life and do number one. Jack Butala: You’ve done it again. You’ve wasted another 20 minutes listening to the Jack & Jill show. Join us tomorrow where we discuss 2018 financial goals and how to accomplish them. Jill DeWit: [Let me add 00:18:33] to your question, should you have fun, post it on jackjill.com. Jill DeWit: Financial goals, I like this. Jack Butala: Tomorrow, I already have it all planned out, tomorrow, what I’d like to do is if you’ve got a financial goal like we alluded to today, let’s divide by 52, and associate the number of parcels or houses you need to buy to net that out. We’ll do it all right in the show. Jill DeWit: Wait, wait, I’m starting my little homework right now, please, Jack. Jack Butala: I didn’t give you homework. I’ll do it all for you. You don’t have to do anything. Sit there and look pretty. Jill DeWit: Well, okay, then, I’ll do nothing. Thanks, Jack. Jack Butala: Share the fun. Jill DeWit: Share the fun by subscribing on iTunes, [while 00:19:21] you’re listening or while you’re at it, rate us there, please. We are Jack & Jill. Jack Butala: We are Jack & Jill. Information.